(a) Engage the 3 claws to install the shift lock control computer sub-assembly. (a) Put the guide in position and engage the 2 claws to install the lower position indicator housing to the shift lock control unit assembly. Make sure that the claws are firmly engaged. (a) Install the No. 2 position indicator slide cover to the position indicator slide cover. 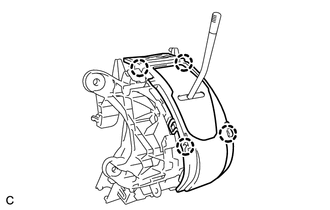 (a) Install the position indicator slide cover to the lower position indicator housing as shown in the illustration. 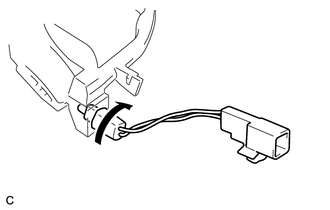 (a) Engage the 4 claws to install the upper position indicator housing to the lower position indicator housing. 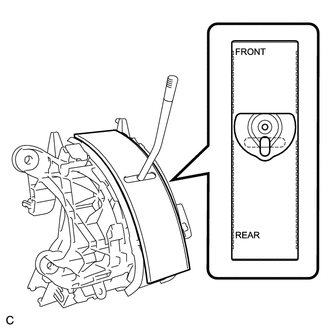 (a) Install the position indicator light bulb to the indicator light wire sub-assembly. (b) Install the position indicator light cap to the position indicator light bulb. 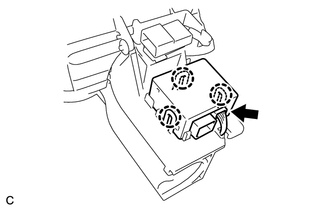 (a) Install the indicator light wire socket and connector to the position indicator light guide. 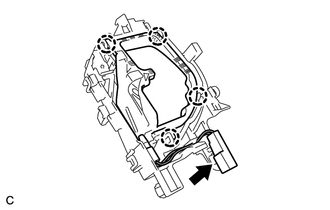 (a) Engage the 2 claws to install the shift lock release button and compression spring to the lower position indicator housing. 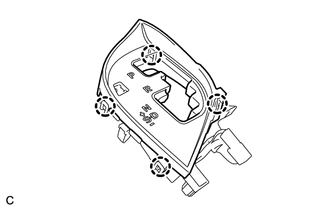 (a) Engage the 4 claws to install the position indicator connector and position indicator light guide to the lower position indicator housing. 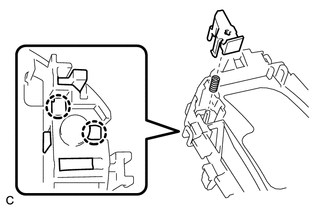 (a) Engage the 4 claws to install the position indicator housing sub-assembly to the lower position indicator housing. 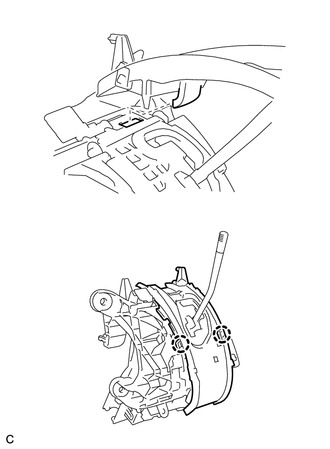 (b) Install the shift lever cap to the position indicator housing sub-assembly.